SALT LAKE CITY (AP) — A charter elementary school in Salt Lake City has canceled classes for the week after water flooded several classrooms. JOHANNESBURG (AP) — South African media report that 33 people are dead from flooding and mudslides in the country's eastern KwaZulu-Natal province. SOMERSET, N.Y. (AP) — Emergency officials in upstate New York are again preparing for possible flooding along Lake Ontario. MOUNDSVILLE, W.Va. (AP) — Hundreds of federally funded flood disaster assistance projects in West Virginia are behind schedule. FRANKFORT, Ky. (AP) — Dozens of Kentucky counties are included in a disaster declaration authorizing assistance following flooding in February and March. 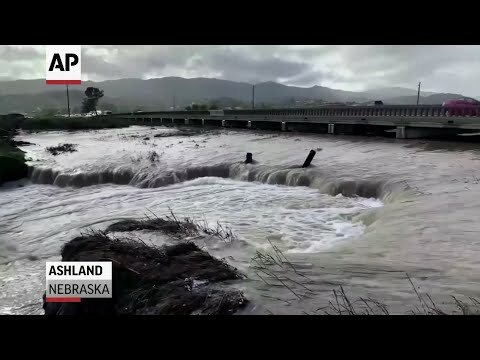 ELKO, Nev. (AP) — A dam at a small rural reservoir in northeast Nevada has breached, flooding part of a county road in Elko County. GALCHUTT, N.D. (AP) — The driver of a semi has been cited after he ended up stuck in floodwaters in Richland County. MINOT, N.D. (AP) — The chief of the U.S Army Corps of Engineers has signed off on a Souris River flood protection project in northern North Dakota. ALBANY, N.Y. (AP) — Flood advisories have been issued for parts of New York's capital region.